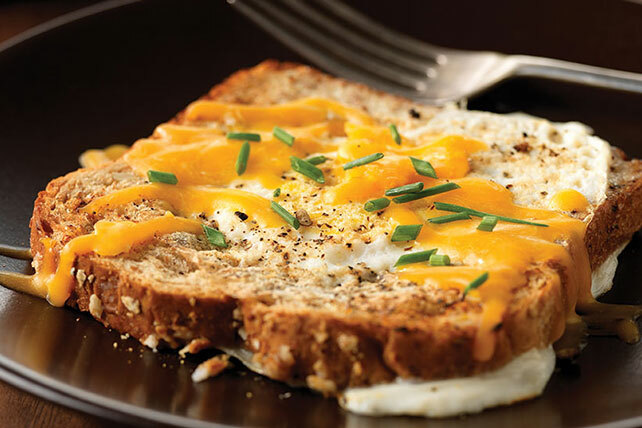 Melty cheese tops a perfectly sizzled egg in whole wheat bread for a deliciously smart way to wake up. Top with cheese; cover. Cook 2 min. or until egg white is set and yolk is cooked to desired doneness. Sprinkle with chives. If you don't have a round 1-1/2-inch cookie cutter, you can use the top of clean drinking glass instead to cut the hole in the bread.